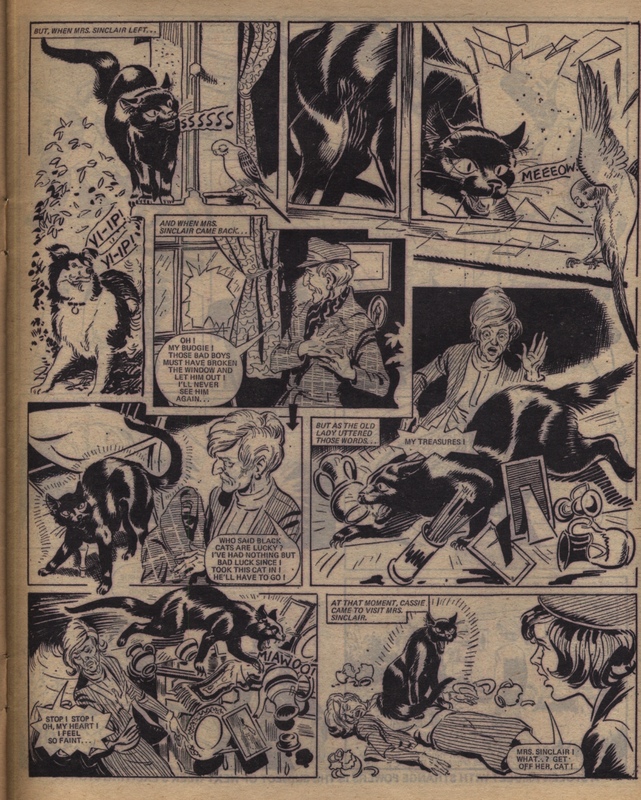 Here is a complete story beautifully drawn by Terry Aspin, from the Gypsy Rose ‘spooky storyteller’ series; this episode from 30 April 1977. 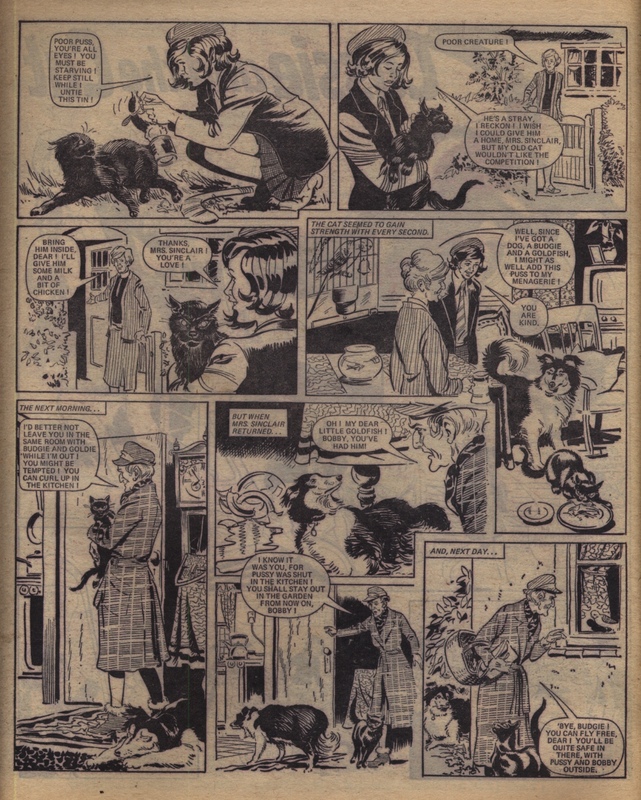 The layouts are dynamic and the evil cat is positively demonic! 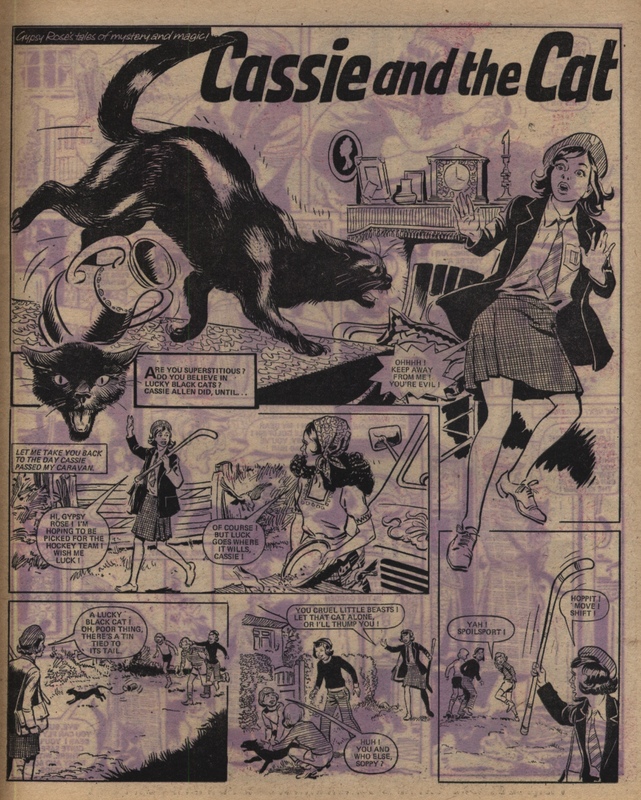 In addition to these Jinty stories, he also drew for other girls’ comics, including stories such as “Wendy at War” in Debbie; “My Secret Family”, “Night and Day”, and” The Portrait of Pauline” in Mandy; and “Vote For Smith” in Tracy. Positive identification of artists is not always straightforward, as styles will vary as part of natural change over time, or for specific stylistic reasons. Details of how features such as eyes, mouths, and hair are drawn are good indicators, though not of course infallibly accurate. 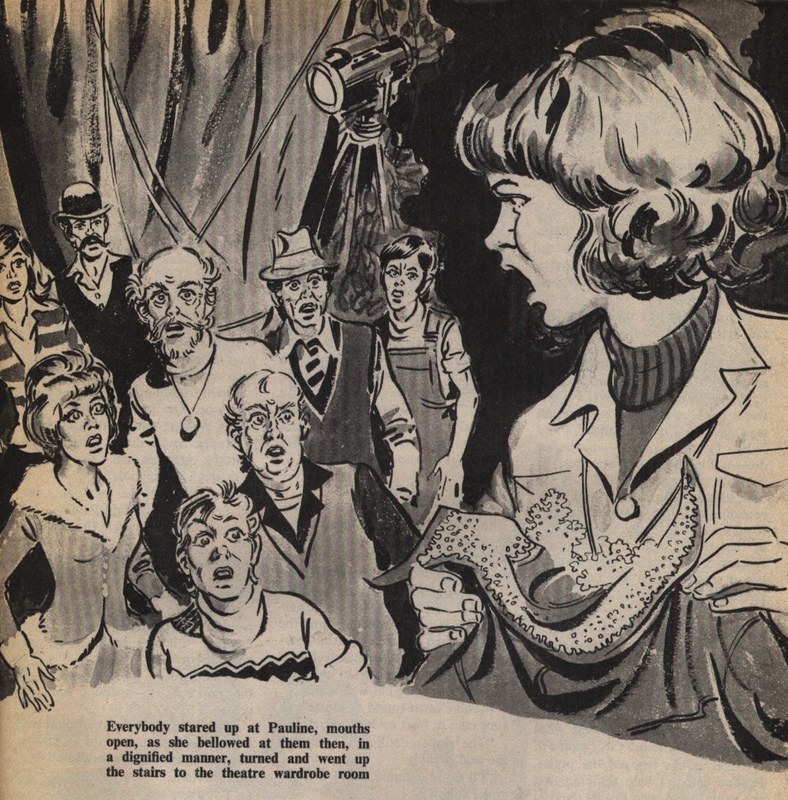 In the case of the illustration below, from the Jinty Summer Special 1978, the face of some of the background characters are a closer match to some of the faces in “Almost Human”, for instance, than the main characters of the respective stories necessarily are at first glance. Here’s what little I’ve been able to find out about him, including his dates and his sideline in building miniature stream locomotives and writing books on the subject. Oh, thanks Paddy! 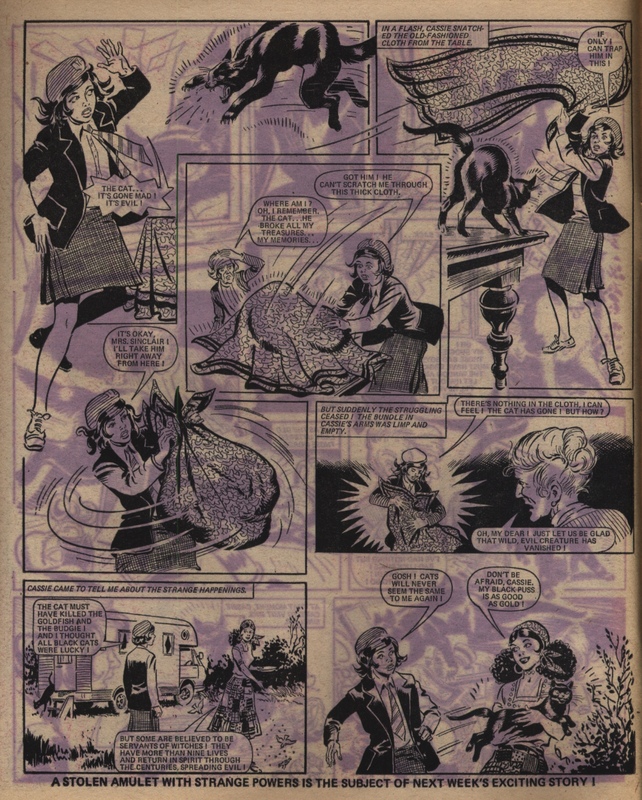 I have asked his granddaughter for any further biographical details she is able to supply, too. Hi! Do you have contact details for Terry’s granddaughter? I’m a member at Wrexham model engineers where Terry used to play with his miniature steam engines and I’d like to talk to her about that part of his life.